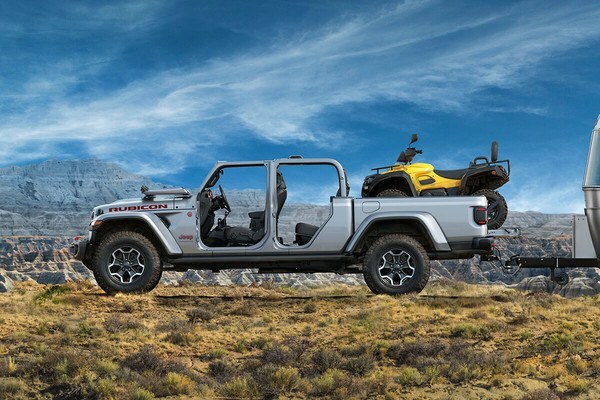 Wherever adventure leads you, the All-New 2020 Jeep®Gladiator lets you feel closer than ever to the great outdoors. 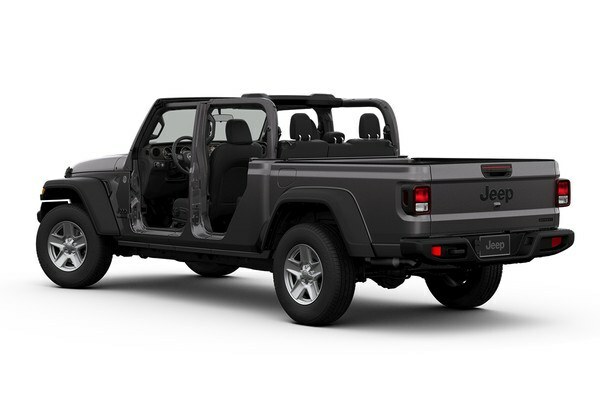 Hardtop, soft top or dual top options give you multiple ways to open up and let the sun shine in. And for the ultimate in open-air freedom, fold-down the windshield, remove all four doors and feel nature like never before. 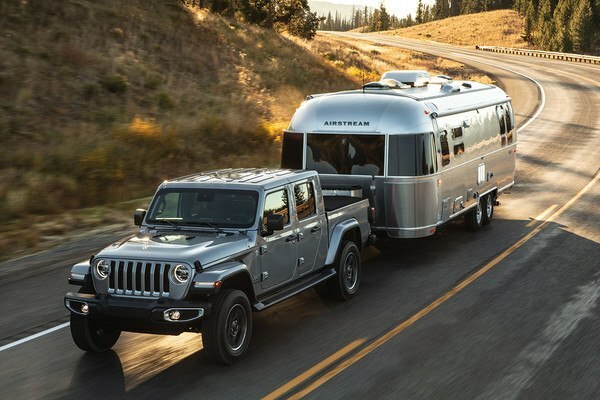 The All-New 2020 Jeep®Gladiator delivers Best-in-Class towing* and payload* with a towing capacity of up to 3,470 kg (7,650 lb) and a payload of up to 726 kg (1,600 lb). 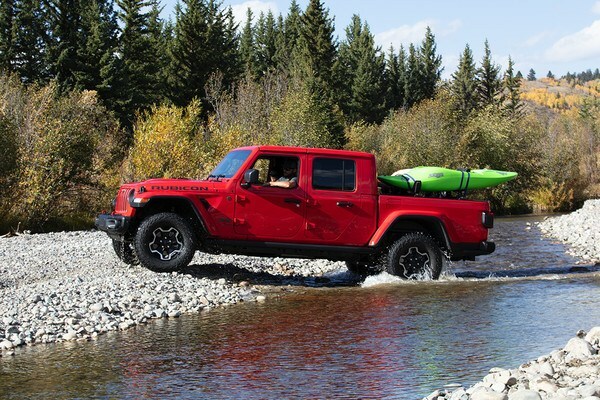 With legendary Jeep® 4x4 capability to take you off the beaten path and the strength to tow or haul your toys wherever you need them, the All-New 2020 Jeep Gladiator won't just carry you to the adventure, it'll be a part of it. 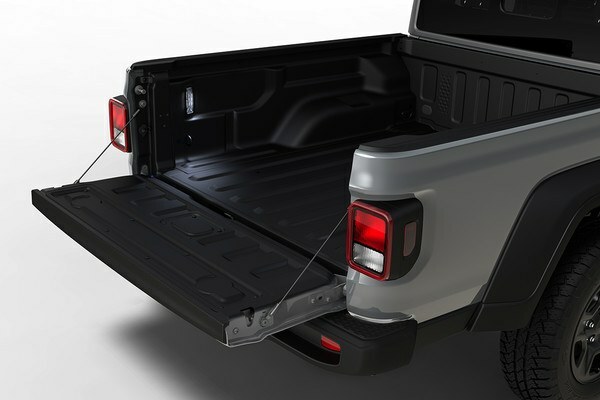 The Gladiator is the only open-air pickup truck in the industry and has been engineered from the ground up to deliver Best-in-Class towing*and Best-in-Class payload. * It is unmistakable and will set new standards wherever it goes. Jeep® 4x4 capability is the heart and soul of every All-New 2020 Jeep Gladiator. Every Rubicon®is equipped with heavy-duty Dana® 44 front and rear axles along with a proven 4x4 system offering both high and low range. The Gladiator Rubicon adds impressive off-road gear like lockable wide track axles, an electronic disconnecting front sway bar, 33-inch all-terrain tires and an available Industry-Exclusive forward-facing TrailCam off-road camera* that aids in off-road obstacle navigation. 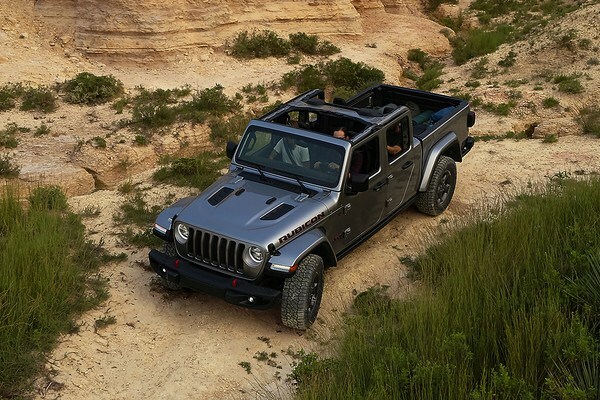 Open-air freedom comes standard on Gladiator thanks to the standard zipperless Sunrider® soft top and available three-piece Freedom Top®hardtop available in black or body colour. Both provide multiple ways to let the sun in, while removable doors and a fold-down windshield* deliver a wide-open experience.